Like my sisters and friends, Abba arranged my marriage. Nabal was known for lavish wealth and quick-tempered arrogance. I suppose Abba felt that wealth would outweigh character. Or perhaps that Nabal’s personality would mature over time. Either way, Abba, as much I love him, wasn’t right. Marriage is an interesting thing. I always imagined it to look as it had in my growing up years; full of love and gentleness and respect. Of course, Abba and Mama disagreed sometimes, but oh how they loved Yahweh! In the end, they knew it wasn’t about themselves, but their relationship with the Lord God. It was Him they honored, when they couldn’t seem to honor their partner. This was exactly the lesson the Almighty formed in me as I walked through the fire of my marriage to Nabal. Early on, all I could see was my own anger, hurt, frustration, and loneliness. I felt such animosity towards my husband. His arrogance ruled him…in business, in the community, and with me. And I despised him for it. This surely wasn’t what Yahweh intended! Yahweh….for a while I wasn’t sure I loved Him, either. I felt abandoned. How could I end up with Nabal? Why wouldn’t God change him? Why was I trapped until death? Eventually, despite the incessant failings of my husband, I began to realize that marriage wasn’t about my happiness. Rather, the Lord God intended to draw me to Himself through it. So, I had a choice to make. Yield to Yahweh, set my sights only His sufficiency, or wrap myself in bitterness and anger and end up exactly like Nabal. The choice was clear; I was not going to become like that man! And so began the mystery of my love for the unseen Almighty. I took all I knew about myself and surrendered it to all I knew about Him and never looked back. Of course, I wasn’t allowed to read the Torah, but my Abba taught me and I surrounded myself with other women who feared the Lord. The more I knew about Yahweh, the more I saw the depths of His love. Over time, the importance of Nabal’s love for me simply faded. Nothing could compare to the richness of the Almighty; Nabal had nothing on Him. Yahweh gave me more than love; He gave me confidence. I realized I didn’t have to cover for Nabal or stand up for him. Like Abba and Mama, I could choose to honor Yahweh, even when my husband had nothing left to honor about himself. All of this took years, of course, this shepherding of my heart. Until the day I saw the Lord’s redemption in a way I had never dreamed possible. It was just like any other day when one of our servants came running headlong after me. He tripped over his words, out of breath from sheer panic. David, whom everyone knew had already been anointed successor to King Saul, had requested food and supplies from Nabal and true to himself, Nabal had mocked him, railed at him, and turned him away. With an assault on David like that, he was sure to bring retribution in the form of slaughter for Nabal and his men. Likely, he was already on his way! With anger and hatred long gone, I reached for wisdom and humility instead. I quickly gathered food and drink for David and his men and set out to meet him, praying all the way. I wanted to honor David, which would be difficult as a woman. I had no idea what to say to the soon-to-be-king, but all I could do was beg the Almighty for more than I had. As soon as I saw David, the words flowed from me like a spring as the wisdom I had learned from Yahweh overtook me. Yahweh would fight for me now. He was thanking me?! Because the Lord made me confident in Him alone, my discretion turned away David’s anger and had kept him from sin! Imagine what would have happened if I had stood up for Nabal just because he was my husband. What if I had doubted my own worth? Thousands of lives would have been lost, and David would have acted sinfully in anger. Only Yahweh is so mighty! And armed with His courage alone, I knew I must tell Nabal what I had done; now wasn’t the time to hide in fear of his arrogance. The next morning, after he had come around from his long night of drunken revelry, I unfolded my actions, expecting his fury. Rather, the Lord fought for me! Nabal went into a shock-induced coma and died 10 days later. Stunned at the quick turn of life circumstances and awestruck at the protection of the Almighty, I’m humbled even more to accept King David’s offer of marriage. But king or not, worthless man or honorable, it is only Yahweh to whom my heart will bow. He alone is my sufficiency! Abigail’s story of beauty and discretion is powerful! What might happen if we took up such courage? If we threw ourselves so completely onto the truth and grace of the Lord? Choose today to wear humility AND bravery, standing up for others with genuine respect while cloaking yourself in the Father’s confidence. 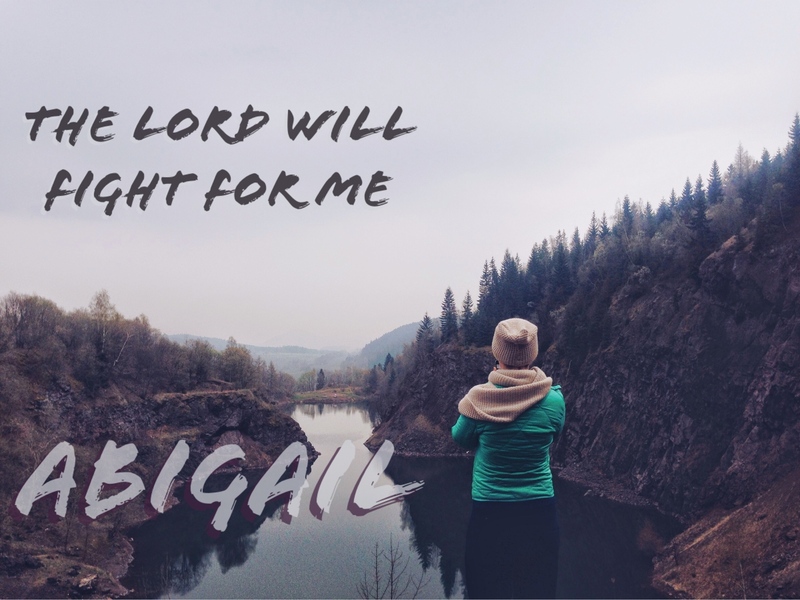 The same God who defended Abigail, will fight for us as well! Looking for yesterday’s Journey Post? 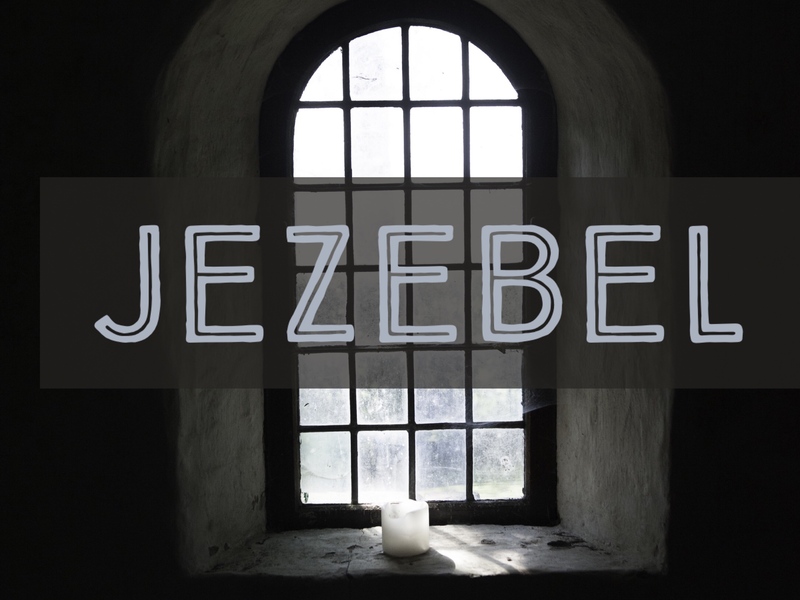 Check out Jezebel! 6 “For you are a people holy to the Lord your God. The Lord your God has chosen you to be a people for his treasured possession, out of all the peoples who are on the face of the earth. 7 It was not because you were more in number than any other people that the Lord set his love on you and chose you, for you were the fewest of all peoples, 8 but it is because the Lord loves you and is keeping the oath that he swore to your fathers, that the Lord has brought you out with a mighty hand and redeemed you from the house of slavery, from the hand of Pharaoh king of Egypt. 9 Know therefore that the Lord your God is God, the faithful God who keeps covenant and steadfast love with those who love him and keep his commandments, to a thousand generations, 10 and repays to their face those who hate him, by destroying them. He will not be slack with one who hates him. He will repay him to his face. 11 You shall therefore be careful to do the commandment and the statutes and the rules that I command you today. 12 “And because you listen to these rules and keep and do them, the Lord your God will keep with you the covenant and the steadfast love that he swore to your fathers. 1) Who initiated the relationship between Israel and God? 2) According to this passage, what are some reasons that the Israelites should obey God’s commandments? 3) How do we interpret the negative side of this passage in verse 10-11? 4) Where does this passage fit into the whole story of the Bible? 1) This passage makes it clear that God was the one who chose Israel to be His people. The Israelites had done nothing to deserve this treasured status—it was only because of His love. 2) Going verse by verse, we see that the Israelites should obey God because they were holy (which means, set apart) and that they were chosen and treasured by God. They were his possession. They were undeserving, yet loved. They should obey Him because He was keeping His oath with their forefathers, and because He brought them out of slavery in Egypt. They should obey Him because He is God! He is faithful and His love is steadfast. 3) We prefer to think about God’s faithfulness only in its positive terms, but the truth is that God is always faithful, or true to Himself. He is constant and unchanging, and He keeps His promises. Therefore, when God promises blessing to those who faithfully serve Him, we can be sure He will bless us, but when He promises punishment to those who reject Him, we can be sure that He will punish them. He is holy, and He cannot allow for sin to go unchecked—just as a good judge would not let a criminal go free. 4) The whole Bible is one big story of how God is redeeming His people through His Son, Jesus Christ. Deuteronomy was written long before Christ came, just before the Israelites entered the Promised Land. It was Moses reminding them of the law they had been given, and urging them to follow God’s commands. In those days, the Israelites were living under the Abrahamic covenant, which promised them blessing if they obeyed God’s commands. Here, Moses is reminding them of the faithfulness of their God, and that He rewards people with the reward they deserve—whether good or bad. 1) This calling of Israel to be God’s people was undeserved—just as our calling to be a child of God is undeserved. We are entirely broken and wholly separated from a righteous God because of our sin….which we can not remove! No one deserves the lavish love of grace given through Jesus, but unfathomably, He offers Himself to us. Praise God, who gives us so much undeserved grace! 2) The reasons that should have motivated Israel to follow God were things that were true about them, regardless of their behavior. God had chosen them and loved them, they were holy to Him, they were His possession. These things are true of Christians, as well. Sisters, let’s see God’s grace as the motivation to be He calls us to be — holy! We are too deeply loved to walk away and strive for anything less than loving others the way we have been loved! 3) It’s a sobering truth that punishment awaits those who reject God’s offer of total pardon through the sacrifice of His perfect Son, Jesus. The reality is that none of us can even hope to be good enough for God, we would need to be perfect in every thought, every action, every motivation. Utterly Impossible! If you have not yet trusted in Christ’s death and resurrection for your salvation, do not delay! And if you are already secure in Christ, let this truth motivate you to care about your lost friends and neighbors and to share Christ with them. May your compassion for their hearts and souls outweigh any fears you may have in sharing real, eternal hope! 4) Although the Old Testament prescribed rules by which Israel was to honor God, it was the faith behind their actions that saved them — just as it is faith in Christ, apart from works, that saves us today. Praise God that He is faithful to forgive us, and that we don’t have to earn our salvation! See all past studies in Sketched! 1) Write out your schedule for the week. 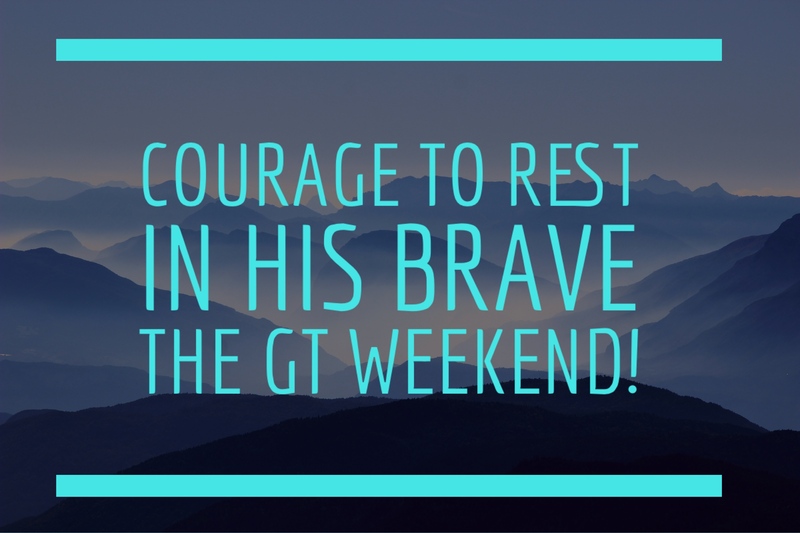 Take a look at all the things that compete for your time then pray over your schedule. Listen if the Father is asking you to cut something – even something “good” – to make more time for Him. Then choose His Brave and try it out! 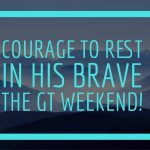 2) When in your life could you not handle the situation on your own and needed to rest in God’s bravery to pull you through? What did the redemption on the flip side look like? Comment below and tell us about it. 3) What masks do you find yourself wearing? What truths from Scripture can help you take them off before the Lord? Lord Jesus Christ, Son of God, have mercy on me. As I come before You, Father, let me sit in Your presence, free of any fear, condemnation, or shame. Reveal Yourself to me so that I can know Your heart better. 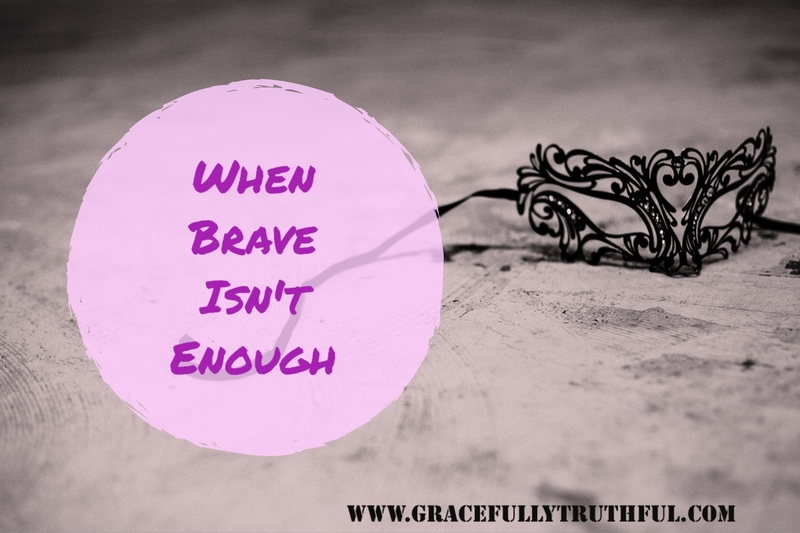 Let me lean into Your perfect truth and grace as I walk through times when I know my own bravery falters. Father, show me places in my life where I’m so wrapped up in “doing good” that I’m not doing what You’d love for me to do. You have so much freedom for me, let me rejoice in it! Give me discernment and courage to say no as I listen to Your whispers in my heart! Lead me deeper with You, Father, show me more of You, let me find true rest in Your sufficiency. Perhaps there’s no greater example of the above quotes fleshed out in the Bible than a couple who intentionally chose their masks and ended in death. Enter Ananias and Saphira. Their intentions looked good, it was the perfect mask: give money to the church from a piece of property they sold. Their masquerade: pretending to boldly give themselves away for Christ. But their deviousness found them out. Faking “Brave” will never work. They sold the property and decided to keep back some of the profit, but chose together to tell the Apostle Peter (and God) that they were giving the entire sale amount to the church. The stage was set and the script was written, the two were all in. The property sold, the money came in, and Ananias came to Peter and told his bold-faced lie…and Peter, with the help of the Holy Spirit, saw his deception as clear as day. He confronted Ananias and the man fell to the ground dead. Three hours later, Saphira came looking for her husband and told Peter the same story, only to end up breathing her last just as her husband had. The thing about this deceiving duo is that they didn’t suddenly decide to boldly lie while pretending to live bravely. They hadn’t been living authentically all along and then the idea of lying about their property suddenly showed up as an option. Masquerades had become their life. Maybe it started innocently enough. A stretching of truth here, a white lie there, or a covering for oneself when they felt cornered until eventually, the lies became easier to tell than the truth. What once may have felt ill-fitting, was now like second skin, like a mask one had worn for too long. Eventually, they probably even fooled themselves. They looked like they really cared about the church. Probably looked like devoted Christ-followers. They were clearly involved in church life and were on a first name basis with the apostles. But somewhere along the way, they wrapped themselves in lies as they pretended to follow truth. I know there are times when lies are easier in my life. When chasing after the truths of Christ are a lot more work than just floating along, fading away into my own perceptions and setting up my own definition of truth, little by lethal little. Masks are easier to wear than we’d like to think, but are always more deadly than they appear. Remember another liar? The first one? Yes, the Enemy Satan. His deception kick-started humanity’s descent into eternal separation from a Holy God. Which is why our loving God set in motion His plan to send Jesus as our only possible redeemer because He Is Truth. so He can bring genuine, true redemption. Lies are blossoms rooted in Death. Truth is solidarity grounded in Life. Brave appearances will only get us so far in life and will get us nowhere with God. and it will all look great on paper. But Jesus teaches that brave living without true love, is meaningless in the end. No amount of kind deeds, encouraging words, or ornate masks we put on can cover up our fatal flaw…. we are dead because of sin. 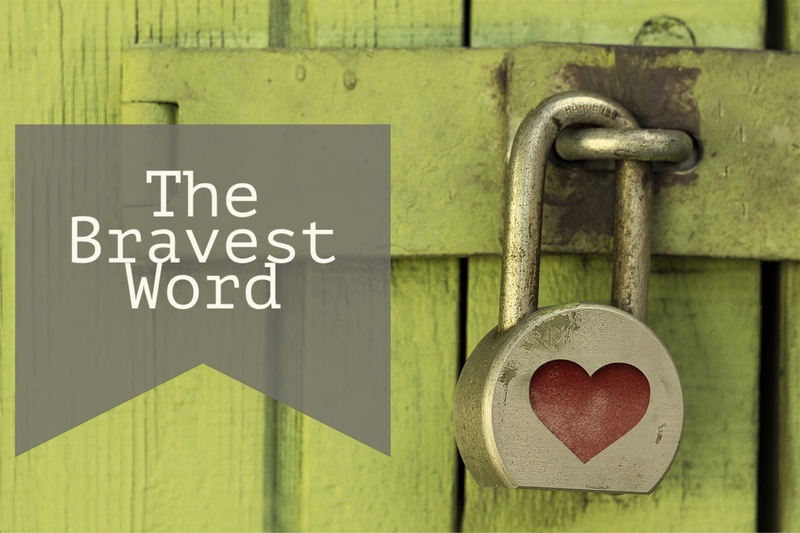 Only Jesus’s transformational true love can bring about a bravery that brings abundant life. I’d like to challenge you to re-read Ananias and Saphira’s story again and as you do, think about the masks you wear, the lies you parade in your heart, and beg God to make you new! You can’t fake bravery before the Righteous God. We all need to be made new! Thanks for joining us today as we journeyed into Brave Week Three! Looking for yesterday’s Journey Post? Check out The Bravest Word! 1) What is the reason that we are not to be anxious? 2) What are we to do instead of being anxious? 3) What is the result of bringing our requests to God? 4) What does rejoicing have to do with not being anxious? 1) Although verse 6 begins with the words “do not be anxious,” the thought begins at the end of verse 5: “The Lord is at hand.” In other words, Jesus is near to us, so we need not be anxious about anything. 2) The linking word “but” in verse 6 indicates a contrast. Instead of being anxious, we are to bring our requests to God—with thanksgiving! Giving thanks, even in difficult circumstances, helps us to let go of our anxieties and see God’s goodness. 3) Verse 7 says that the result of letting go of anxiety and praying instead is that the peace of God will guard our hearts. This is a peace that “surpasses all understanding.” It is not the kind of peace that comes when there is an absence of trouble—it is a peace that is granted to us in the midst of trouble! This is a peace that the world cannot understand. 4) Verse 4 is part of this passage, and shouldn’t be treated as an independent thought. We are told to rejoice in the Lord in the same paragraph as we are told not to be anxious. To rejoice means to be glad, be well, or be of good cheer. Even in the midst of trouble, we can be glad in the Lord. 1) How precious it is to know that Jesus Christ is near to us! In fact, his very Spirit lives inside us to comfort and guide us. Am I remembering to seek His help when deciding whether to say “yes” or “no” to good things? 2) What is causing me anxiety right now? 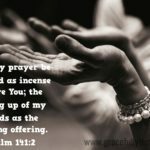 Have I prayed about it? And when I pray about it, have I remembered to give God thanks for who He is and what He is doing, even though the situation is difficult? 3) Jesus said, “Peace I leave with you; my peace I give to you. Not as the world gives do I give to you. Let not your hearts be troubled, neither let them be afraid.” (John 14:27) Praise you, God, for giving us your peace! 4) Take a few minutes today to jot down a list of reasons to rejoice in the Lord. Then refer back to this list when you are tempted to be anxious! Last August, I thought that I was being brave. My husband and I were leading a new community group at church that met weekly. New friends are a good thing – it means new people to invest in spiritually and relationally. A dear friend was coming to live with us while she completed doctoral clinicals in our area. I was stoked to have a friend around to watch “girly” shows with. I had signed up for my second half marathon and was beginning training. Getting to know other runners at church was going to make this training experience so fun! A new chapter had begun professionally with a new job. My dream job! A job that I couldn’t believe I had landed – God had to be in the works here. I had committed to teaching adjunct at a small local college on Monday evenings after work. I loved teaching in graduate school and knew it would be a great way to invest in students. So many wonderful ways to serve God’s Kingdom! One week into October, I was exhausted. My new community group was draining. I felt like I had to entertain my friend living in my home at the end of long days. The time commitment of training for a half marathon had become a burden. My new job was extremely challenging, and I constantly felt behind and incompetent. I discovered quickly that I wasn’t as qualified as I’d hoped for the class I was teaching and didn’t have nearly enough time to put into lecture preparation. One Monday evening, I came home after a long day of work and teaching. I lay on the floor and wept. I was scrambling through my days, barely keeping up. I was physically exhausted, mentally drained, and spiritually dehydrated. All of those good things I was doing for God had become burdens that kept me from pursuing God Himself and the life He had called me to. Following Jesus doesn’t result in anxiety and “stretched-too-thin”. Challenged? Yes. Overwhelmed and defeated? No. Martha’s “service” flowed from a heart where the pressure to perform overwhelmed her. Somewhere along the way, she began to see perfection as her only viable gift of service. We’ve all been there. Striving for the perfect look, the perfect family, the perfect relationship, and when it doesn’t happen, the sense of overwhelming defeat stares us in the face, like it did for me the night I fell to the floor dissolved in tears. She bravely recognized that at the feet of Jesus was exactly where she needed to be. It wasn’t that she didn’t care about service. Or that she spent all her time studying the Torah and praying. She simply understood that without being filled up with Christ, all of her stuff was just…stuff. She knew that overextending herself without carving out time for the “best thing” was like building a sand castle right next to the shoreline. Sometimes we must bravely say “no” to good things so that when something great comes along, we say confidently say “yes!”. And the very best yes that provides a firm foundation for every other “best yes”? Time alone. At the feet of the Savior. Last year, in my effort to serve well, I wasn’t being brave after all. Rather than punish me or be angry, the Lord carried me through that season, despite my unwillingness to find sufficiency in Him. 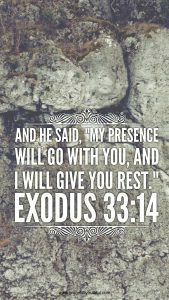 Jesus won the battle of busyness on the cross, and has invited us to sit as His feet as He gives us living water and rest. Let the call of Jesus in Matthew 11 reach your heart. Looking for yesterday’s Journey Post? 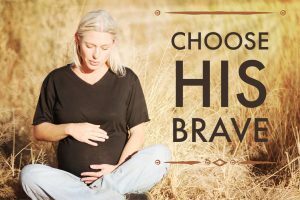 Check out Choose His Brave! 1) Verse 1 says that Job “answered” the LORD. What is this passage a response to? 2) Who is Job quoting in verses 3 and 4, and what do these verses mean? 3) What does Job mean by “now my eye sees you”? 4) What is Job’s response to God? 1) The book of Job tells the story of Job being afflicted by Satan and losing everything—his wealth and possessions, his children, even his health. 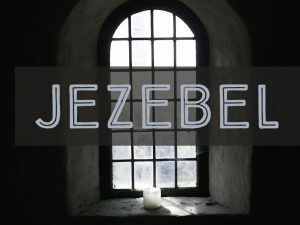 Though Job knows that he has done nothing wrong, he gets terrible advice from some friends, and starts to question God. Then beginning in chapter 38, the LORD speaks to Job with four chapters of rhetorical questions and challenges that put Job in his place—God is God, and Job is not. The verses we’re studying today are Job’s response to what God has just said. 2) If you look at a print version of the Bible, or on esvbible.org, there are tiny letters scattered throughout the verses that indicate cross references—other places in the Bible that are similar or somehow connected to the verse you’re reading. Cross references to these quotes show us that Job is quoting what God said to him in 38:2-3 and 40:7. Job is acknowledging that God knows infinitely more than him, and that he was foolish to question God. 3) We know that God is spirit (he doesn’t have a body), and no one has ever seen God. So this verse is not to be taken literally. 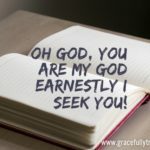 When Job says that before, he had heard God, but now he sees Him, he is indicating that his understanding of God has grown and deepened and become clearer. 1) Sometimes, we all need a reminder that God is God and we are not. Read Job chapters 38-41 just to drive that truth home. Ask Him to reveal areas in your life where you may be holding on to control, or maybe you’re frustrated because you can see that you don’t have the control you wish you had. Recognizing this and acknowledging God for who He is, like Job did, brings freedom and peace deeper than we can comprehend. Our God is so gracious! 2) We can rest in the knowledge that God is infinite, and we are finite. Though we want to have all the answers, it is enough to know that God sees the big picture and we can trust in His infinite knowledge and goodness toward us. Nothing we walk through is without purpose. There is no pain, no frustration, no hurt, and no loss outside of God’s ability to use it. The Almighty wastes nothing and takes every situation to turn our hearts ever more so towards His own that we might see how priceless and treasured He is! We are desperate without Him and everything is meaningless without His presence! 3) What circumstances in my life have caused me, like Job, to see God more clearly? Don’t skip to the next question – take a minute now to think or write down some areas you’re thinking about right now. How has God shown you more of Himself through those situations? Maybe you haven’t seen Him before in those dark moments, but He was there, waiting and holding you, shaping you to see Him and trust Him. 4) God, I acknowledge that you are the Creator, and I am the creation; you are the Potter, I am the clay. I repent of the foolishness that makes me think I am wiser than you. Please remind me of your infinite power, knowledge, and glory when I am tempted to forget. Honest confession, I’ve tried for over 3 months to write this post. Countless “fresh starts” with new pages open wide for me to talk about being Brave in the face of death, disaster, and dismantled dreams. But every fresh start hasn’t ended with a finished product. Sometimes walking with boldness and living Brave, the way Christ has called us, means that we can’t see the outcome. Bravery isn’t dependent on our circumstances, what we can control (or can’t), and all the massive unknowns, it’s about walking forward anyways and leaning into the invisible God because He’s the Almighty and we….aren’t. It was a Tuesday night in early March. As a family, we had been celebrating the little life growing quickly inside my womb for weeks. We’d spread the news with such happiness, dreamed of re-doing the nursery, shared giddy grins and caressed my swollen tummy. But that Tuesday night, the bleeding didn’t stop. And I knew… I knew my son’s life was over. but lifeless on a dark screen. I felt like my own heart had stopped beating. The agony of losing life, of knowing death reigned where life had thrived just days earlier. This was going to be our last baby. We already had 5 beautiful, precious children, but had both felt God nudging us to try for one more. But, Elijah James was the son we never got to see. His were the feet we never tickled. His were the fingers that we never touched. We gathered our other children around us that day and told them about their brother’s life and sudden death. We wept. We embraced. The pain was so raw and deep and surreal. In the weeks that followed, my husband started talking about trying again for another baby. I couldn’t risk losing again. I couldn’t possibly walk this path again. The pain was too much, the unknown too great. And I found out that true bravery is never about the sense of courage we can somehow muster up inside ourselves, but rather about knowing the deep, abiding love of a Father who knows what it’s like to watch His own Son breath his last. God beckoned me into another’s story of loss. Finances, health, home, relationships, status, and….children, multiple children. This person suffered significant loss, but his story didn’t end there. There came a point in his life, after he walked through the grief, after he waded into the mess of pain and hurt and raw emotion with his God, that Job had a choice to make. Walk into fear, clutching the bravery of a God he knew was good, or. Just. Stop. Job tried again. On purpose. He lay with his wife and she conceived again, multiple times over. He put his hand to the plow again, and received more than ever before. He faced his friends, prayed for them, and relationships were restored. He chose bravery, not because his circumstances were awesome or because he could see the end of the story, but because God Was Enough. I was broken by Job’s story. I chose to lean into His bravery instead of my own understanding. Today, every time I scoop up my little Isaac, who was given to us after Elijah, I’m reminded of redemption. I call him my tiny warrior. Not because he’s especially heroic, but because I know my God IS! 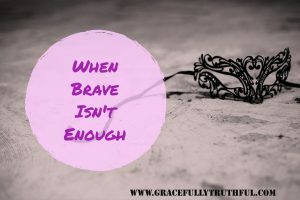 Living brave looks different on different people at different times, but the kind of bravery that sustains in the face of fear and brings redemption on the other side, will always, always, always be found in the un-plumbable depths of the Lord God Almighty. Today, let His bravery enfold you. Even when…..No, especially when you can’t see the end, or count the goal posts, or tally all the end marks. Thanks for joining us today as we journeyed into Brave Week Three! Don’t miss out on the discussion below – we’d love to hear your thoughts!